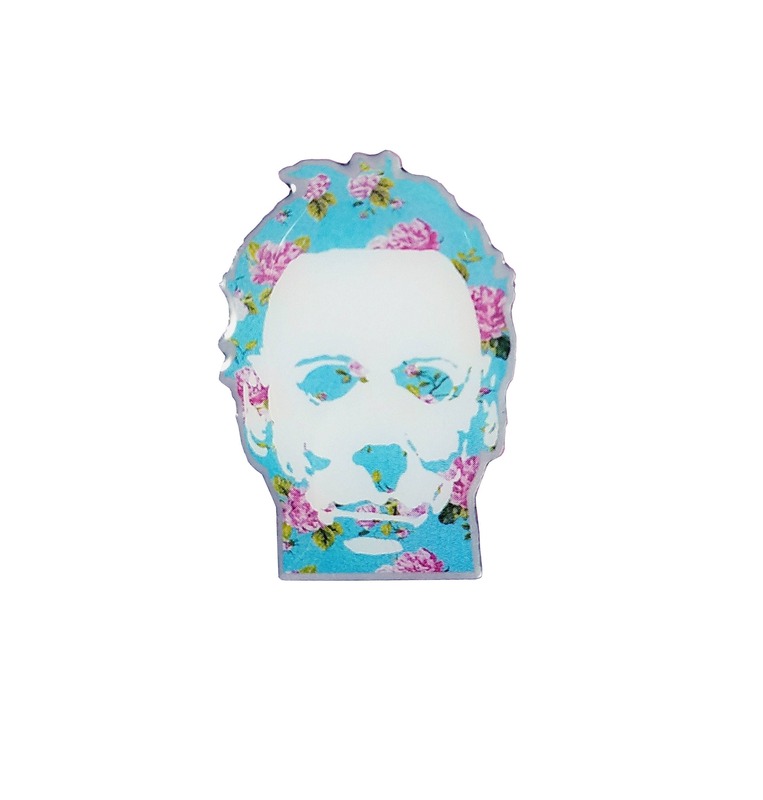 Now you can have a miniature version of the Michael Myers print that's for sale. 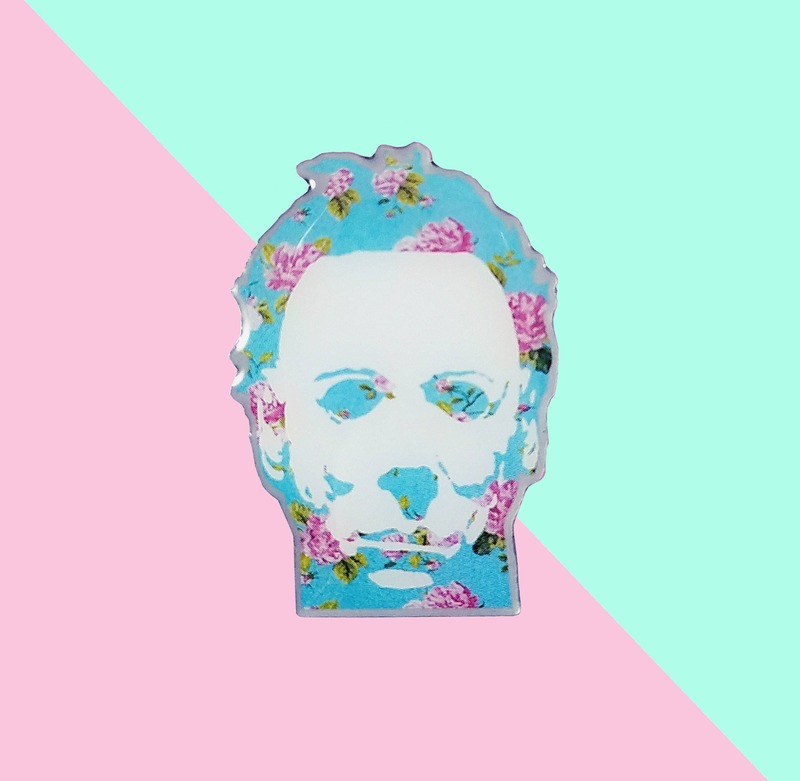 So cute, so floral, so full of hate and revenge. Approx 1 1/2" screenprinted enamel pin with epoxy cover. Grade B: Minimal flaw/s like paint imperfections or scratches.Because Michael likes to feel pretty too.